A Baltimore County man was recently sentenced to 4 years in federal prison followed by 3 years of probation for his role in an Internet dating scam that cost numerous victims millions. The defendant, who hails from Owings Mills, pled guilty back in February to conspiracy to commit money laundering after he was indicted back in the spring of 2015 on numerous charges including wire fraud. According to the terms of the plea and the indictment the co-conspirators scoured numerous online dating websites in search of vulnerable victims, many of whom were elderly singles. 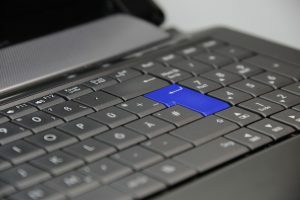 The co-conspirators would then form romantic relationships with these unsuspecting victims over email, online chatting, and eventually phone calls. When the relationship had built up the co-conspirators would use fake stories to induce the victims to send money. These stories were elaborate and included tales of medical hardships that were bolstered by fake medical bills, tales of businesses on the verge of going bankrupt and non-existent foreign tax liens that needed to be settled. The co-conspirators would receive money in numerous ways including wire transfers or bank deposits ranging from $1,700 to $30,000. Money was sent to drop accounts, which are designed to make it difficult to trace to the account holder (but clearly not too difficult for the FBI in this case). The money would not sit long in the drop accounts, as it was withdrawn and dispersed to the co-conspirators in a variety of ways in order to attempt to conceal the source of the funds. This is where the money laundering charges came from, as the co-conspirators would transfer money from the drop accounts to their own personal accounts online or they would write each other multiple checks for small amounts. Court documents also state that the defendants would purchase cashiers checks in order to conceal the source of all the income. All told the ten co-conspirators, most of whom are from the Laurel area of Prince George’s County, initially got away with scamming both male and female victims out of millions. Ultimately it was the attempt to funnel this money into usable accounts that brought this particular 26-year old defendant down. The facts of this case do not clearly support a strong case for proving the existence of a theft scheme or a fraud scheme, as the victims appeared to hand over the money willingly, and often out of sympathy with no expectation of getting something in return. Regardless, the government always had the trump card of a money laundering charge in its back pocket. Even if federal prosecutors couldn’t prove fraud there was no bulletproof defense to the act of attempting to conceal the illegitimate funds flowing in from the dating scam. As they do in many conspiracy cases prosecutors likely followed the money straight to a conviction, and now it is the defendant that are going to have to pay up. This young defendant from Baltimore County has a hefty restitution payment of $375,000 bearing down on him once he is released from prison. Paying this restitution is likely a condition of probation, and if it is not paid the defendant could be back in court on a violation of probation. Failure to pay restitution might be a technical violation, but it is not a violation that judges take lightly. The Blog will continue to follow this case and other federal conspiracy cases, and may post a follow up article in the future so stay tuned. 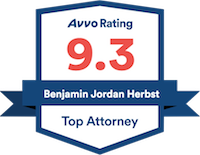 Benjamin Herbst is a criminal defense attorney who handles money laundering, fraud, theft scheme and violation of probation cases in all Maryland jurisdictions. Call Benjamin anytime for a free consultation at 410-207-2598. Owings Mills Man Sentenced To Four Years In Federal Prison For Laundering Money From Victims Of Internet Dating Scam, www.justice.gov.